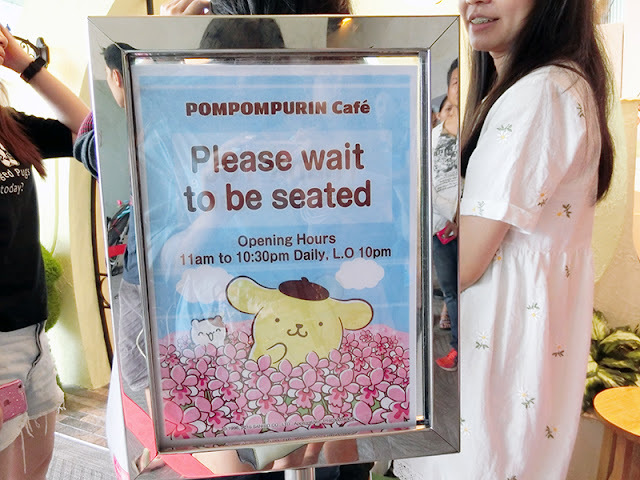 Went there on a Sunday afternoon and the queue time was about 2h. On a side note, they could have issued queue numbers instead of letting the customers waste time standing outside to queue. 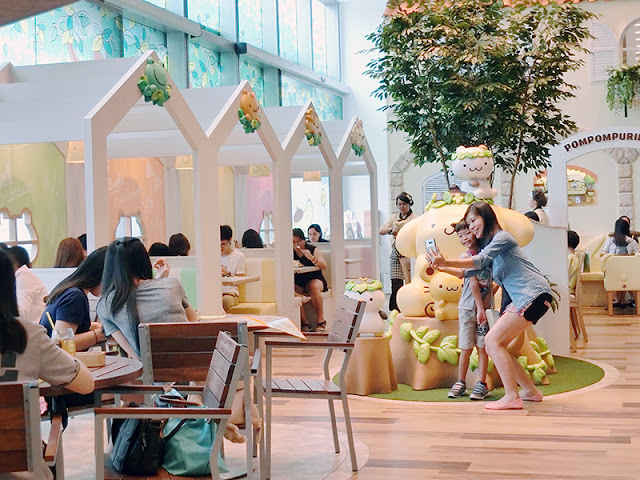 I've seen cafes like Sunday folks using some sort of system in the ipad as well so customers can go walk around first and they will send a text to the customer when it's about to be their turn. Isn't it more efficient that way? hmmmm. 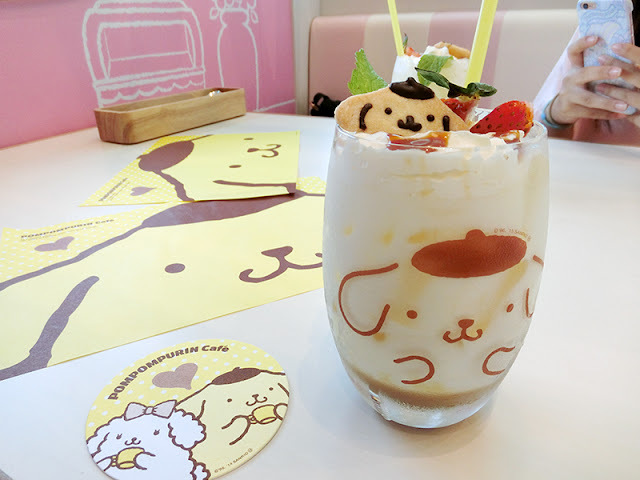 Lots of pom pom purin details! 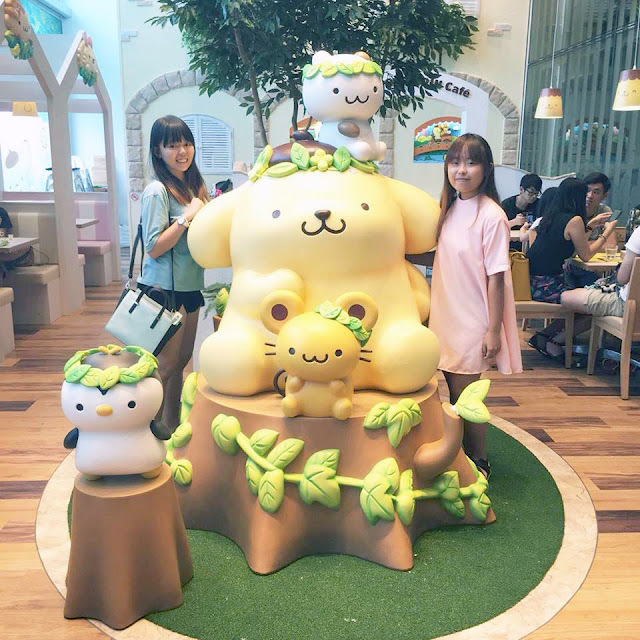 And also the iconic mascot in the middle of the cafe. 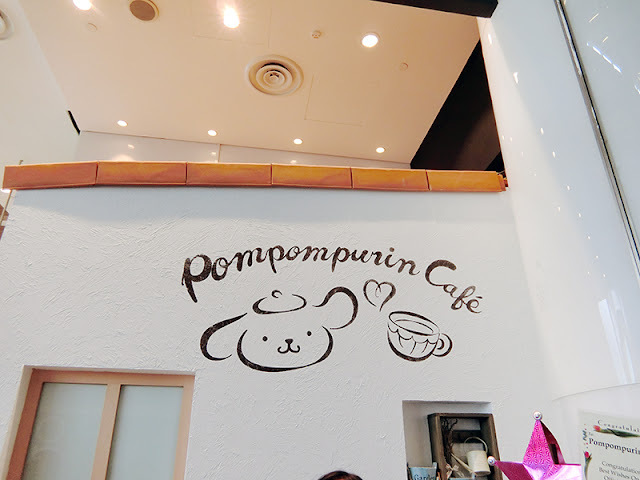 The cafe wasn't as big as what I expected though, it's pretty small. Probably about 18-20 seats only? 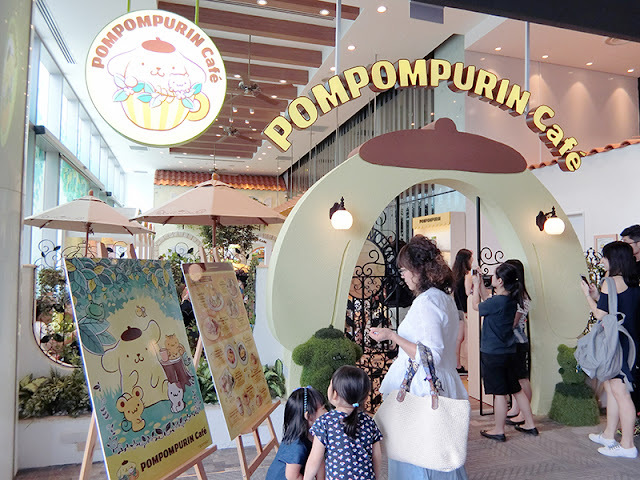 My sister is having a hard time deciding what to eat because the ones with the cup are more expensive than those food that are mould into pom pom purin. The drink is not bad, but the price is wayyyyyyyyyyy too much for a drink. I'm only ordering it for the coaster because you can bring home that as well HAHAHA. Stole a few bites, and I think the rice is a little too hard? 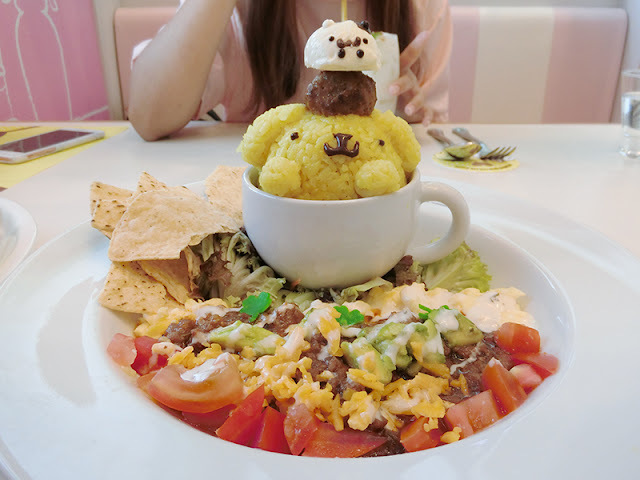 I guess it need it to be solid enough to be moulded into a pom pom purin. I still prefer my spaghetti though. The total bill added up to about $86 for 2 person, pretty expensive. But this kind of thing... you know you are only paying for the photos la hahahaha. 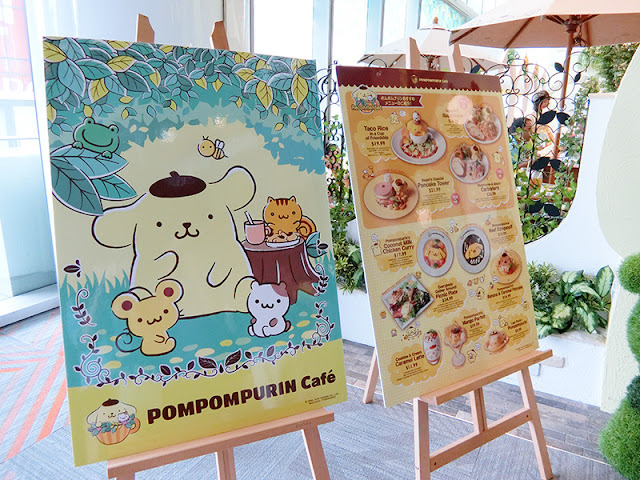 Ending off with a shot with the pompom purin family!